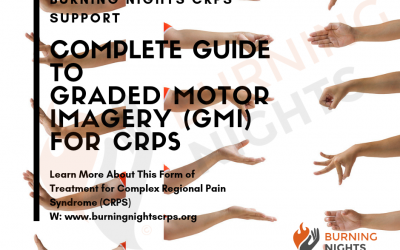 Is CRPS A Psychological Condition? One question we often get asked is “Is CRPS a psychological condition?” We want to reassure you that Complex Regional Pain Syndrome or CRPS is not a psychological disorder, nor does it follow on from psychological illness. However very often we find that CRPS patients develop mental illnesses or psychological disorders after CRPS has started. This is mainly due to patients being left with unrelenting chronic pain 24/7 often without successful treatments to help or being constantly not believed by health care professionals. 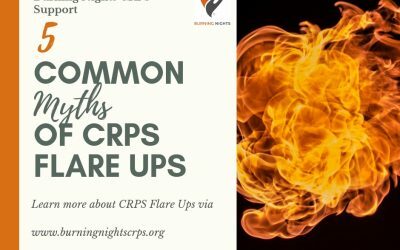 CRPS is a ‘real’ condition. It is not something that your mind has made up nor is it following on from psychological disorders. Your brain and nervous systems have been damaged, so your CRPS isn’t ‘in your head’ it is in fact your brain that has been damaged. 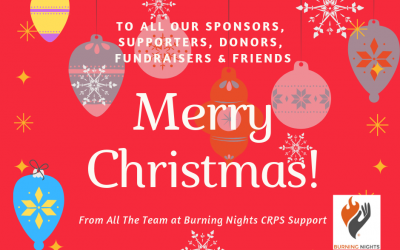 Have you seen that Burning Nights CRPS Support have a CRPS in Children and Teens leaflet? Why not head over to our online shop and get a copy of our CRPS in Children and Teens leaflet?! If you’d like us to send CRPS in Children and Teens leaflets to your GP or pain clinic or hospital, we can send these direct to them, please contact us for further information. 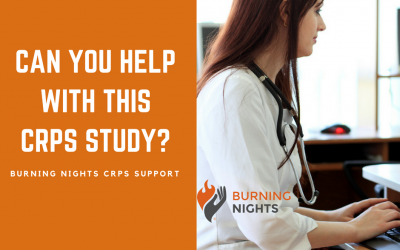 From the research we can see that it appears that there is insufficient evidence in many areas of the condition including CRPS prognosis, that are unknown or understood by the Healthcare profession. 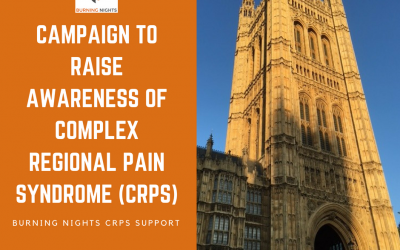 This is something that as a CRPS charity we would like to alter to give help and support to thousands of Complex Regional Pain Syndrome sufferers, in the UK and also around the world. 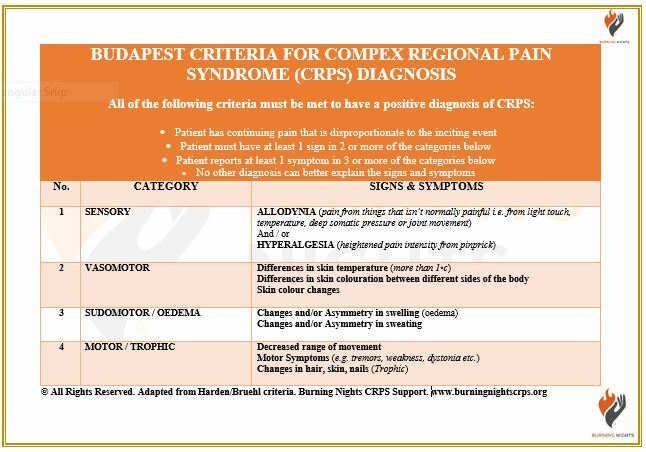 The Budapest Criteria used for the diagnosis of CRPS is a step in the way forward to trying to eventually treat the condition. 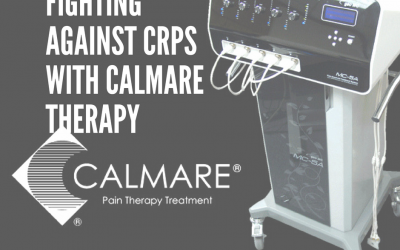 However it doesn’t help the CRPS prognosis for patients. Dubuis, E. et al (2014) ‘Longstanding complex regional pain syndrome is associated with activating autoantibodies against alpha-1a adrenoceptors,’ Pain. 2014, Nov. Vol 155(11). pp 2408-2417. Available from: <http://www.ncbi.nlm.nih.gov/pubmed/25250722> doi: 10.1016/j.pain.2014.09.022. Finniss, D.G. et al. (2006), ‘Complex Regional Pain Syndrome in children and adolescents,’ Science Direct & European Journal of Pain. November 2006. Vol 10 Issue 8, pp 767-770. Available from: <http://www.sciencedirect.com/science/article/pii/S1090380105001898> Accepted 13 December 2005. Available online 24 January 2006. Van Velzen, G.A.J. et al. (2014), ‘Health-related quality of life in 975 patients with Complex Regional Pain Syndrome type 1,’ Science Direct & Pain (R). March 2014. Vol 155 Issue 3, pp 629-634. Available from: <http://www.sciencedirect.com/science/article/pii/S0304395913006659> Accepted 10 December 2013. Available online 10 December 2013.